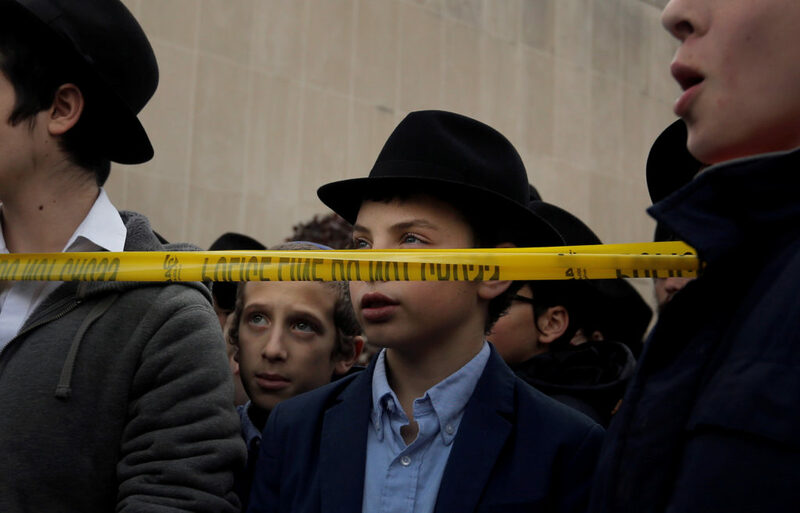 PITTSBURGH — The man accused in the Pittsburgh synagogue massacre appeared briefly in federal court in a wheelchair and handcuffs Monday to face charges he killed 11 people in what is believed to be the deadliest attack on Jews in U.S. history. Robert Gregory Bowers, who was wounded in a gun battle with police during the shooting rampage, was released from a hospital and wheeled into the courtroom, where he was ordered held without bail for a preliminary hearing on Thursday, when prosecutors will outline their case against him. During the proceeding, Bowers talked with two court-appointed lawyers, went over documents and confirmed his identity to a judge, saying little more than “Yes” in a soft voice a few times. Courtroom deputies freed one of his hands from cuffs so he could sign paperwork. He did not enter a plea. The response to Trump’s plans was mixed. Leaders of a liberal Jewish group in Pittsburgh, Bend the Arc, wrote an open letter to the president, accusing him of contributing to the violence with his words and deeds and saying he was not welcome until he denounced white nationalism. The mail bomb attacks and the bloodshed in Pittsburgh set off debate over whether the corrosive political climate in Washington and beyond contributed to the violence and whether Trump himself bears any blame because of his combative language. 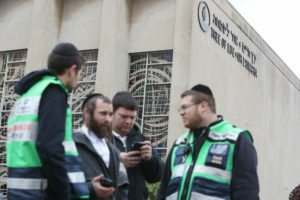 Barry Werber, 76, said he found himself hiding in a dark storage closet as the gunman rampaged through the building, in the tree-lined neighborhood of Squirrel Hill, the historic hub of the city’s Jewish community. Werber said he hopes Trump doesn’t visit Pittsburgh, noting that the president has embraced the politically fraught label of “nationalist.” He said the Nazis were nationalists. Pittsburgh Mayor Bill Peduto, a Democrat, said the White House should contact the victims‘ families and ask them if they want the president to come to Pittsburgh. He also warned Trump to stay away when the first funerals are held. Bowers was charged in a 29-count federal criminal complaint that included counts of obstructing the exercise of religious beliefs resulting in death — a hate crime — and using a gun to commit murder. Bowers was a long-haul trucker who worked for himself, authorities said. Little else was known about Bowers, who had no apparent criminal record.